Last year, through Twitter, I became acquainted with Lisa Hinchliffe, Professor/Coordinator for Information Literacy Services and Instruction in the library at the University of Illinois at Urbana-Champaign, and an affiliate faculty member in the university’s library school. Careful consideration to constructing the learning environment and not only focusing on teacher performance has been a mantra for my instructional design practice since then. This is a particularly interesting area of investigation for me as a teacher librarian because it helps me articulate what the ‘teacher’ in ‘teacher librarian’ might be about. When people ask me where I work and I say Melbourne High School, they assume I’m a teacher. And when I say I’m a teacher librarian, they say, ‘Oh, you’re in the library’, as if they’ve put me into a box – a music box that, when opened, keeps the ballerina firmly attached to her space, rotating clockwise only to one tune. They are more likely to see me as a librarian, and dismiss the teacher role. Nothing could be further from the truth, because our role is just as integrated in education as a teacher’s, only it doesn’t necessarily play out as the teacher responsible for their own class. But everything we do is connected with the teaching and learning that happens in the school: we work across the curriculum, we teach transferable skills, we create curricular content and educational resources online, and we depend on collaboration with teachers and students. Nothing useful would eventuate if we didn’t collaborate – that is, have conversations, come into classes, watch how teachers teach, watch how students learn, etc. And if we didn’t do that, if we didn’t have that insight and developing understanding, then our work would be detached from the work of teachers and learning of students, and we would be exactly what most people think we are – in a world of our own, the library world, ‘not doing any work’, as some teachers like to joke—which is false, for all hardworking library professionals. I do a version of what all teacher librarians do. It might play out differently for all of us, depending on our areas of expertise and the demands of our students and teachers, but our common focus is on teaching and learning. Of course, the big one in terms of being accepted as a real teacher is that you assess student work and write student reports – which is sad, because teachers’ talents do not simply reside in this task. It’s a pity that the marking can become the overriding signature of teaching. Teachers know that their role is much more than this, but it seems that the time and energy that assessment and associated administrative tasks take is what is taking them away from what they actually want to do: teach. And teaching comes in many forms; teacher librarians do it a different way but we still do it. There can be a misconception that if I don’t ‘teach a class on my own’, marking or writing reports, then I’m not a teacher; I must be a librarian. The ‘learning environment’ that Lisa mentions is really something that I’m interested in unpacking, and I think I’m in the position of understanding it well because of my whole-school involvement with teaching and learning. This whole-school, cross-curricular focus is what gives teacher librarians a unique edge. All teachers know well that learning happens everywhere, anytime, and not just in the classroom during the class. I had a form class last year, for the first time, where I tried to inject as much learning (in the broadest sense) as possible into those 10-minute daily sessions. I started a blog for my students to create a virtual time-capsule, which I hope they’ll appreciate once they leave school. It’s a mish-mash of photos of students, recorded interviews with them, short panel sessions about what they think, whiteboard surveys of inane content, interspersed with creative short films and animation, GIFs, memes (whatever I think they might respond to), and some academic guidelines along the lines of study skills and sharing of our online resources for some of their subjects. The blog is mostly an experiment, and the main aim is to create community, to let students know I care about them rather than just their academic pursuits, and hopefully to support them when they do something they’re proud of and enable them to support each other. The ‘learning environment’ is exactly what the library is about. Of course, the whole school is a learning environment but the library is a more concentrated one. Unlike classrooms which are utilised by specific teachers and classes, the library is a space for everyone — across age groups, academic levels, and curriculum. The library designs its spaces and purpose(s) within these spaces very carefully, in response to the needs of its users — never static, always acting on ongoing reflection and observation, experimenting. The word ‘library’ has been contentious for a long time — some prefer ‘learning commons’, some ‘media centre’. Others insist that the traditional ‘library’ is still the most apt name. Perhaps. It does come with a lot of baggage, but then new words acquire the baggage over time. In the past, I have been annoyed when ‘library’s’ main connotation was a space for books, but these days I doubt that anyone would have that limited view for either a school or public library. Both are open, welcoming spaces and both are synonymous with learning and community. When people come into the library, they may not be aware of all the different teaching and learning contexts that play out throughout the school day – but they certainly understand the main gist of ‘librarian’. We are all about the conscious intention of and potential for facilitating learning, and the creation of circumstances that lead to learning in our students. It’s in the way in which we organise our spaces, watching to see that our design works for individual, collaborative, supported and any other kind of learning. It’s in the way that we select and promote our resources, and how we get to know each student so we can offer assistance with a resource, a skill, or just have a caring conversation. It’s in the way that we connect students to significant events that might otherwise go unnoticed, or to brilliant people whom they may not have heard about, enriching our students’ lives and reminding them of what or who is worth celebrating, which issues we might unpack together, or how much fun we can have dressing up as our favourite literary characters when we might learn something we didn’t know without even knowing we were learning. 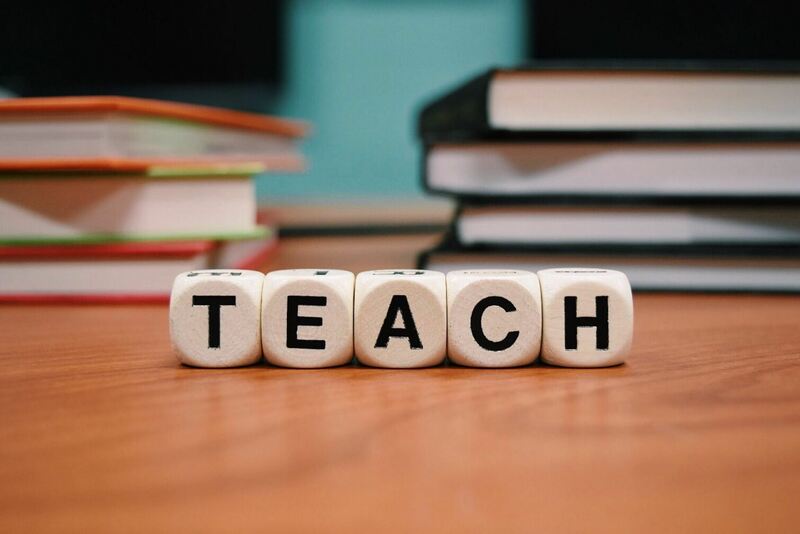 It’s time to broaden our understanding of ‘teaching’ — only then can the ‘teacher’ in ‘teacher librarian’ begin to be understood. This article was originally published by Tania Sheko. View the original article. Thank you for articulating the misconceptions of being a school librarian. The library is the largest classroom in a school and services all students. We are teachers! Teaching can be carried out in so many formats.